I mainly work in acrylics on canvas and all work is ready to hang. 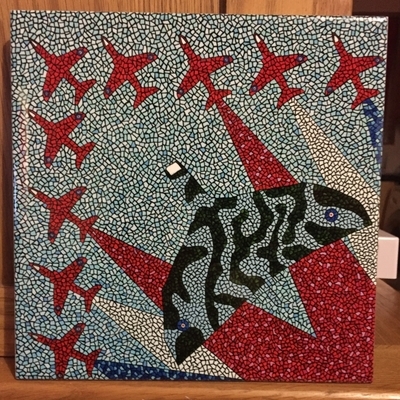 The majority of my work is in a very distinctive and recognisable mosaic style, although I do have some more ‘traditionally’ painted pieces. Please see my gallery for examples. 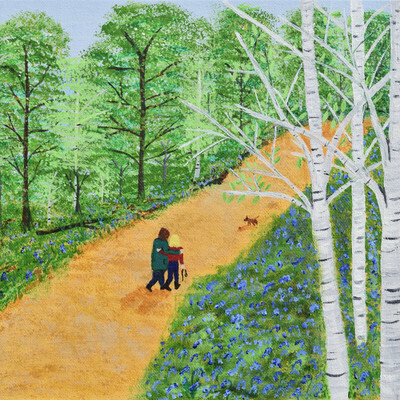 I started painting seriously approximately 5 years ago as a therapeutic activity after illness. My distinctive and colourful style gradually evolved over this period and I now paint in this way the majority of the time. I am fascinated by the way we see images and how our brains interpret blocks of colour and shape. 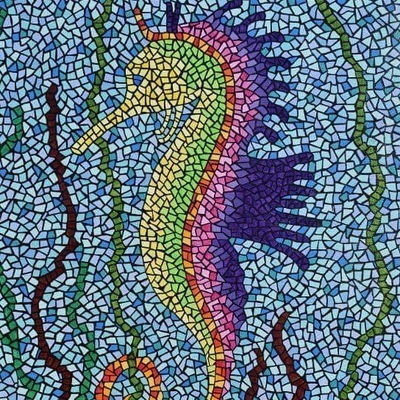 I have been influenced by aboriginal art, pointillism, stained glass and, of course, mosaics. I greatly admire the works of Rothko, Kandinsky, Gaudi and Picasso to name but a few. Many of my paintings are based on island life, others are prompted by conversations, books or life events. 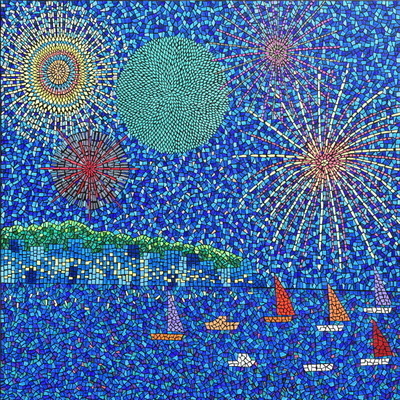 Works I have sold are now in collections on the Isle of Wight, Australia, London and Brussels. As I now work from home, please feel free to contact me if you would like to see any of the original work. I would be happy to arrange to either bring any work to you for a private, no obligation viewing or for you to visit me. I am also happy to consider commissioned pieces and this has been a popular option for previous customers. Thank you for looking at my webpage and gallery, and I hope to have the pleasure of meeting you soon.